Skoda is one of the most luxurious cars manufacturing company and their cars are extremely popular for space and comfort. Of course, a car is said to be luxurious only if everything used in it is best and is the first choice. Each car belonging to the Skoda Company ranges high price level. Just think if they are investing this much high money in manufacturing a luxurious car. How Is the Maintenance of The Car? Of course, a good care service and maintenance is a must. Keeping this thing in mind, the company has established its service centers in almost all major cities. All these service centers are ready to serve their customers at all times and of course with utmost care even at odd times. Other than these, there are many service centers across the country that offers their best services to Skoda car users. If you are a new Skoda car owner, then it is advisable to visit the nearby Skoda Auto to undergo benefits of services offered by the company for one year. Of course, you can take your car for regular service check taking a service plan. There are different service plans offered by the company based on your purchase of a car. Suppose if it has been less than a year you bought the new Skoda car then you can go for service plan offered for all the cars (less than a year) and if it has been more than a year then they can go for service plan which is specially designed for the all the Skoda cars which are more than one year old. 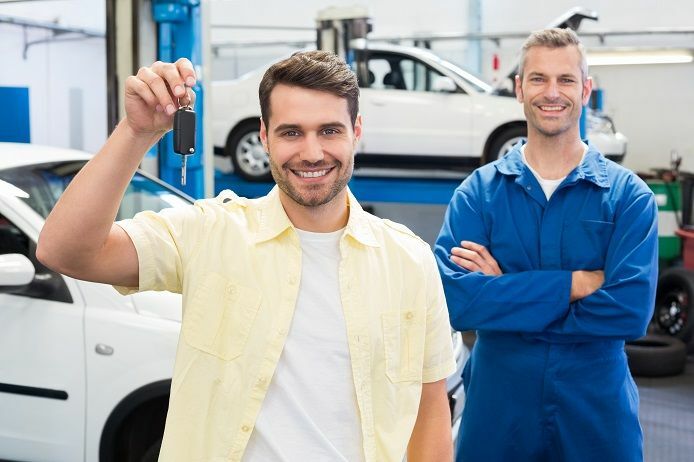 Whatever may be the service plan you choose, but making your choice to take car service at one of the recognized car service centers will definitely benefit you. In general, the company has divided its main service into two types’ viz., minor service and major services which are classified based on the number of miles traveled by car in a year. In simple words, minor service for the cars which age less than a year and major service for one year and further aged cars. Now let us list out the regular service checks included in these service types. Changing the oil and filters. Inspection of vehicle by a complete test and preparing a report. Road tests for a full vehicle. Enhancement of vehicle parts and software seeking from the company’s database. Common diagnostic service checks along with a report. After the complete check, reset the display of service interval. Vacuum and washing the complete car. Last but not least stamping the Skoda stamp in the service book. Every service included in minor service scheme. Along with the above services, replacement of air filters. Inspection of spark plugs, fuel filter (diesel engine or petrol engine). Removing wheels and inspecting the condition of brakes. Inspection of the tension of all drive belts. Inspection of the gear box and replenish the oil in the gearbox as per necessity. Inspection of oil level in the final drive and replenish the oil based on the requirement. Inspection of the suspension system. Inspecting the air conditioner operation. All the above-listed things are regular service checks that are included in minor and major services offered by the Skoda service center. When you take your Skoda car for service, make sure that all the service checks are performed well.